NEW ORLEANS (AP) -- A man who worked for BP's cement contractor on the drilling rig that exploded in the Gulf of Mexico in 2010 testified Tuesday that he didn't believe the oil giant's employees were risking workers' safety when they didn't follow his recommendations. Halliburton employee Jesse Gagliano, a witness for his employer at a trial over the Deepwater Horizon disaster that killed 11 people, said his relationship with employees for London-based BP PLC deteriorated amid disagreements about how to perform the cement job that ultimately failed to seal the BP-owned well. But Gagliano said he said he never saw a reason to call a temporary halt to the project before the well's blowout. The trial, which has entered its sixth week, is designed to determine what caused the blowout of BP's Macondo well and assign fault to the companies involved. BP will begin presenting its defense once Halliburton rests its case, possibly later this week. Gagliano invoked his Fifth Amendment right against self-incrimination at his 2011 deposition but later agreed to testify at trial. He previously had been interviewed by a congressional committee and testified in 2010 before a government panel probing the disaster. BP had argued that Gagliano's late change of heart would give Halliburton an unfair strategic advantage, but a judge permitted Gagliano to testify. Gagliano said BP had the ultimate responsibility for deciding how the cement job would be performed and didn't always follow his recommendations. For instance, Gagliano had recommended the use of 21 centralizers, which are devices designed to ensure the casing is running down the center of the well bore. BP, however, decided to use only six centralizers for the cement job. Gagliano said his models showed that using only six centralizers indicated "severe gas flow potential." A report that BP issued for its investigation of the blowout concluded that using six centralizers instead of 21 likely wasn't a factor in the cement job's failure. But plaintiffs' attorneys have said the extra centralizers were intended to reduce the risk of a blowout. Using fewer centralizers, they argued, allowed BP to save time and money on a project that was behind schedule and millions of dollars over budget. Plaintiffs' attorney also have accused Halliburton of using leftover cement on the Macondo well that contained a destabilizing additive in an effort to save time and money. Paul Sterbcow, a plaintiffs' attorney who cross-examined Gagliano, pressed him to explain why he used a defoamer in a foam cement when Halliburton's own policies said the additive shouldn't be used under that circumstance. "I had no issues with the design I had," he responded. Gagliano said he used his best engineering judgment and, even in hindsight, wouldn't have changed anything about his design. "While there were agreements and disagreements, do you believe that the two groups, Halliburton and BP, tried to work together to come up with a design of the cement slurry that was going to work in that well?" Godwin asked. U.S. District Judge Carl Barbier is hearing testimony without a jury for the first phase of the trial, which is expected to last several more weeks. 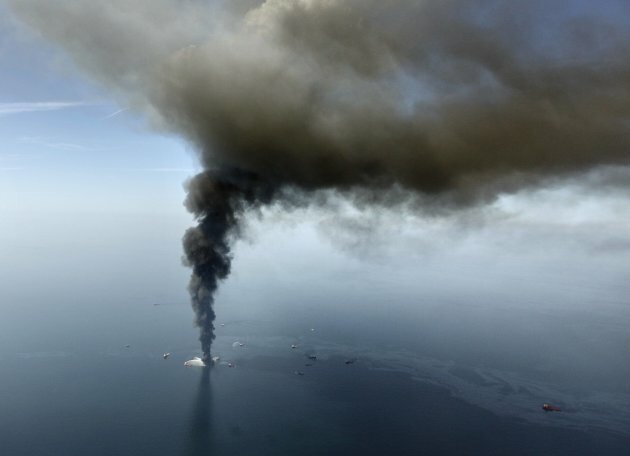 The judge also plans to hold a second phase designed to determine how much oil spilled into the Gulf and examine BP's efforts to stop the gusher. Barring a settlement, Barbier could decide how much more money BP and its contractors, including rig owner Transocean Ltd., should pay for their roles in the blowout that led to the nation's worst offshore oil spill. At the start of Tuesday's proceedings, Barbier said attorneys won't deliver any closing arguments at the end of the trial's first phase. Instead, the parties will submit written briefs outlining their views on the evidence.